The space is organized as four connected volumes, each joined to an outdoor terrace. At ground level, the plaza’s 5,000-square-foot marketplace connects to Flushing’s street life, while upstairs, a flexible event space opens onto an adjacent terrace. A three-story open staircase, wide enough at its base for seating, connects the space through the third level. “From the plaza up to the stairs, you are metaphorically tracking the mission of AAFE,” said JCJ principal Peter Bachmann. Googie—the futuristic style born in mid-century Los Angeles coffee houses (like the recently threatened Norms), gas stations, and motels—has found a revival in Cuningham Group's renovation of the “Southwest Bowl” in South LA’s West Athens district. The bowling alley, which was closed in 2008, was originally built in 1958. The 25,500 square foot lot was purchased by the Asomugha Foundation, a non-profit dedicated to educational advancement programs. The organization has transformed the alley into their new headquarters and community center, known as The Foundation Center. 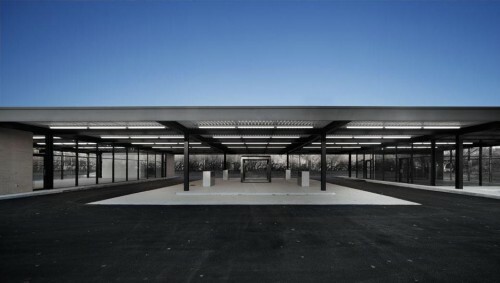 The architects maintained most of the exterior, including zigzag meandering walls and a large projecting canopy, and added elements like a new roof, skylights, upgraded finishes, and several new floors and walls. The mostly new interiors are organized with a broad axial concourse and a series of exciting floor level shifts. 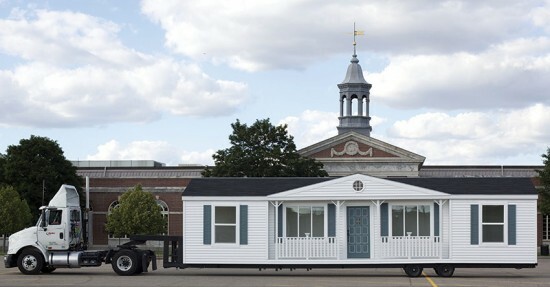 Mobile Homestead Museum of Contemporary Art Detroit 4454 Woodward Avenue Permanent Before his passing at the young age of 57, Los-Angeles based artist Mike Kelley created an exact duplicate of his childhood home in the Westland area of Detroit, on-wheels. The artist intended to use the mobile-home as a community center, it’s rooms dedicated to hosting local events and providing community services and education programs, save for the two-story basement, which he would close to the public and use as his private underground studio. Kelley was never able to use his studio. He tragically committed suicide before he could ever see his vision come to life, but his artistic legacy lives on. The mobile home, which provides a solid example of the architecture of working-class neighborhoods in the American Midwest, was wheeled to The Museum of Contemporary Art Detroit where it has been transformed into a center for community programs, just as Kelley intended. When is a Center really a center? Well first of all it’s got to have a center, don’t you think? The Betances Community Center has a splendid gym holding strong in the middle of the plan, full of warm, white light modulated by the south-facing glass block wall and monitor side walls of Kalwall. Originally intended to house a boxing ring and bright orange bleacher seating, the space is now multi-purpose with the bleachers accordioned to the walls; the famous boxing program moved elsewhere. Even without the ring, the architecture packs a wallop of clarity, modesty, attention to detail, and programmatic resolution. So much transparency is rare for community center projects, says architect Stephen Yablon, AIA, principal of Stephen Yablon Architect. He credits David Burney, FAIA, his then client at the New York City Housing Authority (NYCHA) for establishing the clear statement of values and goals for the center. Built in an area challenged by crime, the large areas of glass would seem to invite the errant brick. 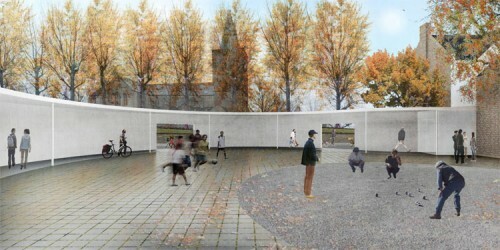 Quite the contrary: the very high quality of the design has engendered unusual respect for the facility. 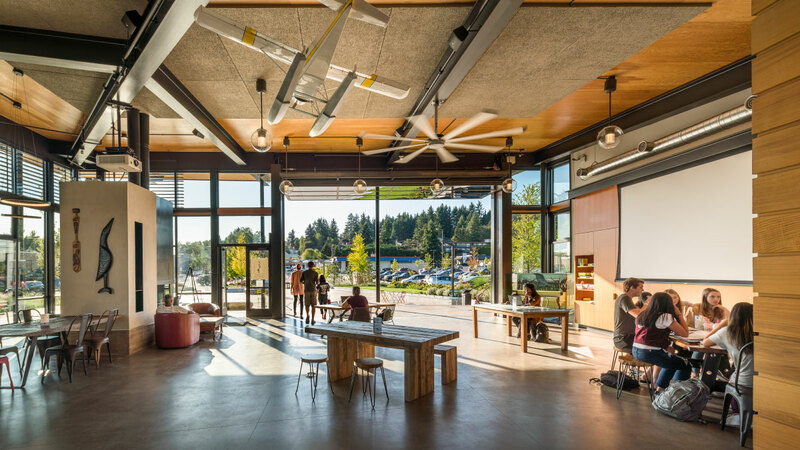 This is a community center with a community that has found identity in the architectural expression of its public amenity. Now filled with after school programs, performing arts, art classes, and fitness, the Betances Center has had only one broken pane, and that one was inside. It’s all proof positive of the power of architecture to bring out the best in us. 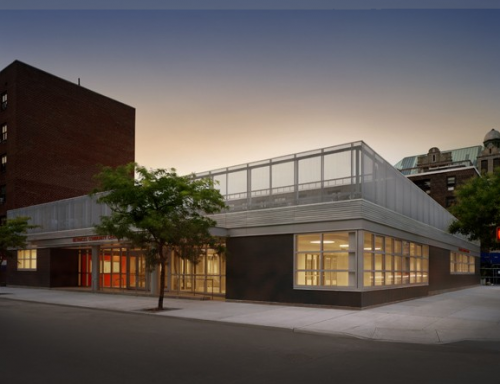 Click here for tour info on tomorrow's Building of the Day: New York Public Library Francis Martin Branch. 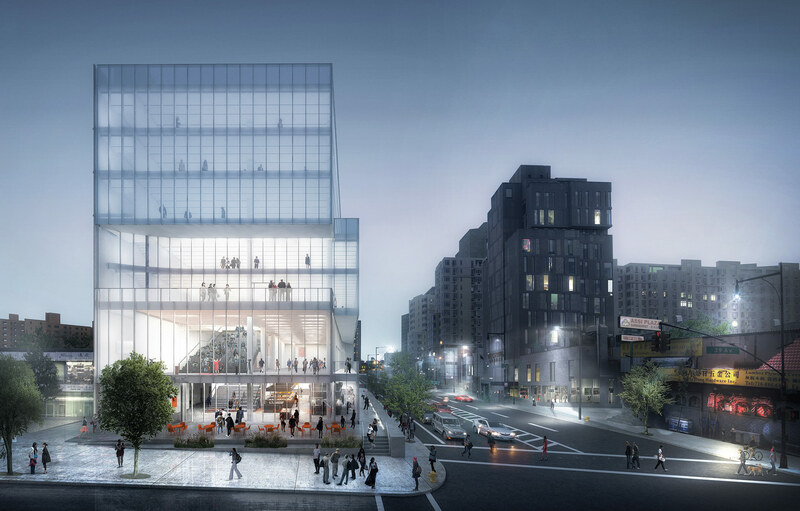 Each “Building of the Day” has received a Design Award from the AIA New York Chapter. For the rest of the month—Archtober—we will write here a personal account about the architectural ideas, the urban contexts, programs, clients, technical innovations, and architects that make these buildings noteworthy. Daily posts will track highlights of New York’s new architecture. Read more at www.archtober.org/blog.